John Foxx is talking about bass sounds. Really big bass sounds out of analogue synthesizers. "With modern speakers, you can suddenly hear all that power for the first time," enthuses the Ultravox founder and electro-pop pioneer. "They are eminently capable of producing trouser-flapping bass and enough top to take the roof off St Paul's." 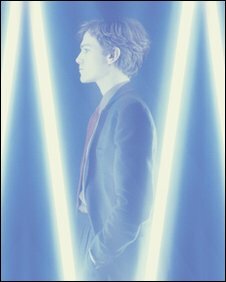 To mark the 30th anniversary of his debut solo album Metamatic, John Foxx is bringing the massive sound of his analogue synths to a 21st-Century audience. We are sitting on a voluminous sofa in the cafe at The Roundhouse, where Foxx has been finalising the Short Circuit programme. "It's not just an interest in antiques," he says of his all-analogue synth show. "It's a regard for a certain type of music that's only just being heard for what it was." Foxx - the stage name of musician and artist Dennis Leigh - founded Ultravox in the 1970s and left the band after the three albums. He was replaced by Midge Ure, who sang on the band's biggest hit Vienna. Foxx himself went solo and had a string of Top 40 singles in 1980 - starting with Underpass. 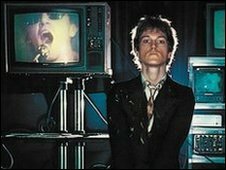 At Short Circuit, Foxx will reunite with former Ultravox guitarist Robin Simon to perform songs from the 1978 album, Systems of Romance. Foxx wants his festival of electronica to capture the spirit of a concert he attended as an impressionable 15 year-old in 1967. "It was like a glimpse of the future," says Foxx, who hitchhiked down from his native Lancashire to attend the 14 Hour Technicolour Dream at Alexandra Palace. "I watched Pink Floyd with Syd Barrett, Lennon was around, and Brian Jones, and I saw European art movies like Chien Andalou for the first time - so it was really a life changing event." I just switch on those drum machines and I get a crackle of electricity and magic. With its art displays, video installations and DJ sets, Foxx promises Short Circuit will be "a sort of hallucinogenic musical afternoon". What does he remember of the early Ultravox days and his first steps as a solo artist? "I'm old enough now to look at it as if it was someone else who did those things. "You see this young guy who's a bit confused, and has a few good ideas, and is equally vain and uncertain, but managed to get something done that's stood the test of time." A bit confused? Foxx laughs when I bring up the subject of a bizarre interview on Swedish television in 1977. The clip on YouTube ends with the TV hosts singing For He's a Jolly Good Fellow to a bemused Foxx. "They hated punk in Sweden because it's a very orderly country. Ironically now they make some of the best electronic music you'll ever hear," says Foxx. "But then it was an invasion of an unwelcome cultural force. They confused everyone with punk so they thought Ultravox were punks - we weren't." Fox admits he thought his first solo album Metamatic "might be too cold and stark and minimal". "It was a big risk - it was immediately after punk which was all ripped and torn and anarchist. "I thought sod that - I'm going to wear a shirt and tie, and I'm going to dress from Marks and Sparks and make a minimalist statement. "It was outrageous in those days not to use drums. Now electronics is there with heavy metal, or reggae or indie - it's a genre as firm as any of them." And Foxx is just as excited about the new generation of electronic instruments. "I just switch on those drum machines and I get a crackle of electricity and magic. I still don't feel we've got to the end of what they can do. "Now there's a whole new set of technologies to be investigated and played with. I'd rather have been born in 1980 and be in a position to play with this stuff now." Parallel to his musical career, Foxx has worked as an artist and a lecturer under his real name of Dennis Leigh. "They are very separate worlds," admits Foxx. "No-one knew that I had a career in another universe." 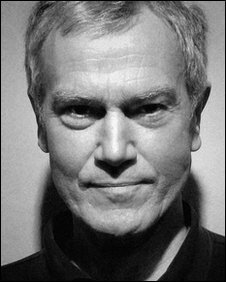 He adds: "John Foxx is an artwork in itself if you like. It's very schizophrenic in a way but it is useful because it allows you to distance yourself from some things that you do. "It's a bit like when you're drunk and there's someone sober inside saying you've gone too far this time. 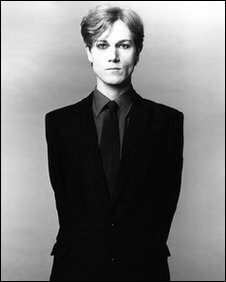 I think John Foxx is the sober one." Short Circuit 2010, which is headlined and curated by John Foxx, takes place at The Roundhouse on 5 June. His 30th anniversary boxset Metatronic is out now.